Aunt Barb was not my actual aunt; she was my neighbor growing up. She was a special lady and I was thrilled to get this recipe from her granddaughter and my childhood friend, Liza. 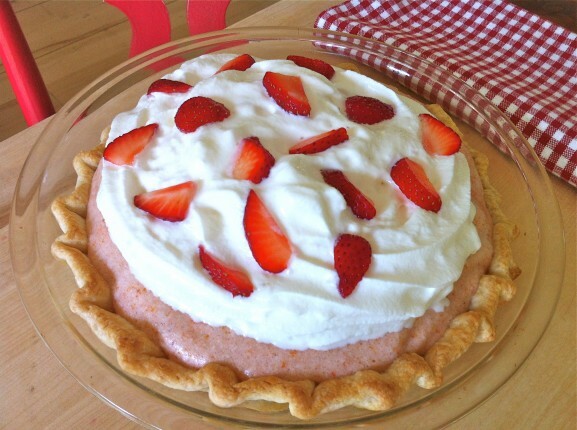 Until now, I had never made this strawberry chiffon pie. One bite and you will understand why it is their family favorite…and now a favorite in my family, too. Liza mentioned that she typically ends up with a little extra filling and sometimes makes a mini pie with it. 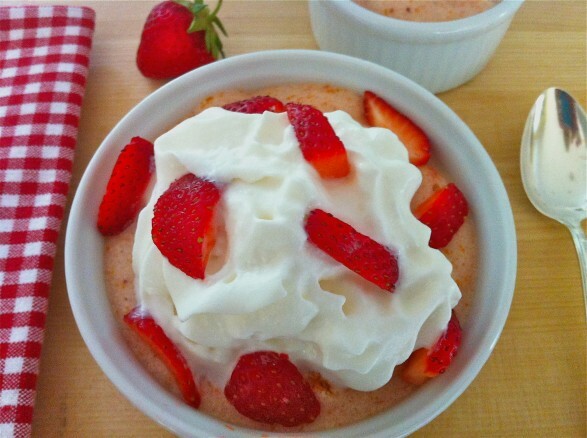 I poured the extra filling into two ramekins and they made a perfect gluten-free dessert. Soften gelatin in cold water. Cook the egg yolks, slightly beaten, ½ c sugar, lemon juice and salt in the top of double boiler until of custard consistency. Add softened gelatin to the hot mixture and stir until dissolved; then add strawberries and a drop of red food color. Cool. When the mixture begins to thicken, fold in egg whites which have been beaten to soft peaks and to which the other ¼ cup sugar has been added. Fill baked pie shell with mixture and chill. Just before serving spread a thin layer of whipped cream over the pie and top with a strawberry garnish! As noted above, the custard filling may be poured into individual ramekins for a crust- and gluten-free option.